Jeff Geiger’s Delaware IEA team members were among 177 middle and high school students from around the country to compete in the national competition of the Interscholastic Equestrian Association in Oklahoma City. The team did not place overall, but members placed in different aspects of the competition. 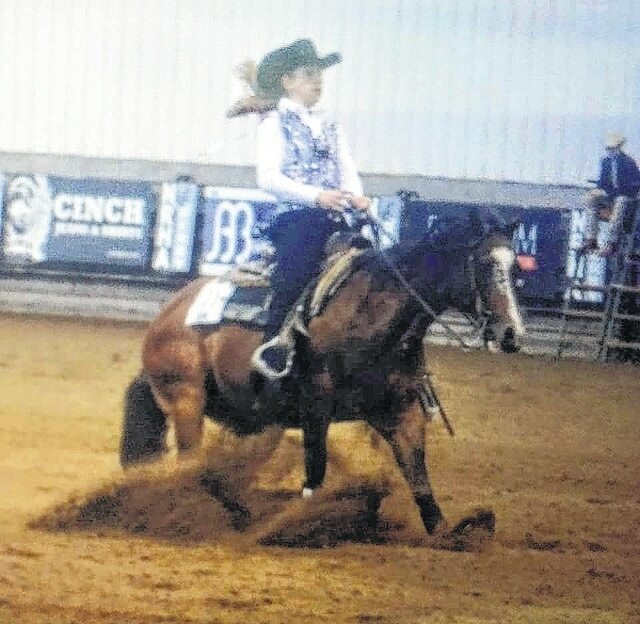 Kylee Williams placed ninth in her reigning class and seventh in her horsemanship class. Jane Boyer placed eighth in her horsemanship class. Lainie Hilaman placed sixth in a general horse knowledge test, which was open to all show participants. Even Coach Geiger won the only coach’s award, which is awarded for sportsmanship. Ryan Geiger said he is looking forward to next year’s IEA season. He stressed that the team is open to new members and that ownership of a horse is not a requirement to join the team. “We have spots open and we encourage people to inquire,” he said.